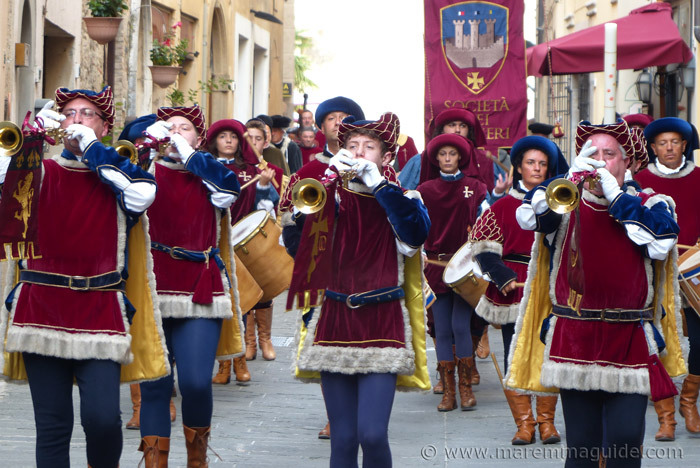 Maremma tours in Tuscany Italy like no others! 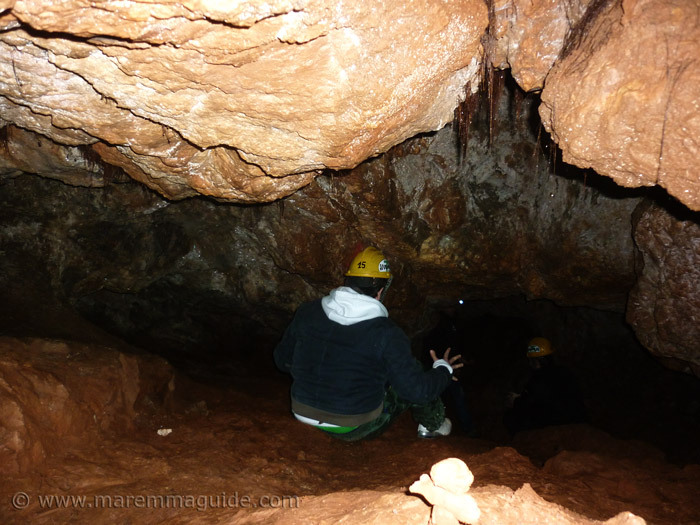 These Maremma tours won't just take you to special places in Tuscany, but around, over and under wild and wonderful places in Maremma in Tuscany! They are Tuscany tours like no others: for those who don't want to follow a flag or an umbrella stuck in the air behind fifty other people! 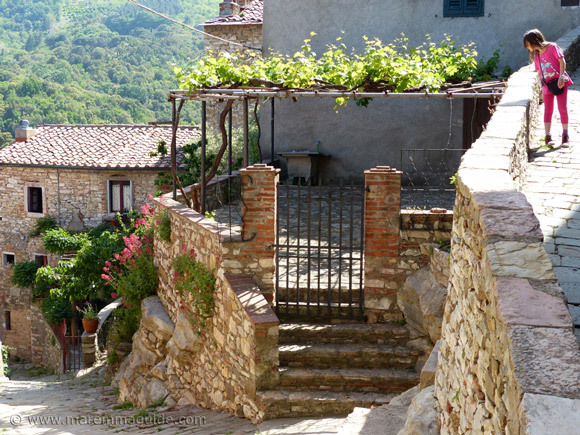 No Tuscany tour operators offer tours that are solely based in Maremma. 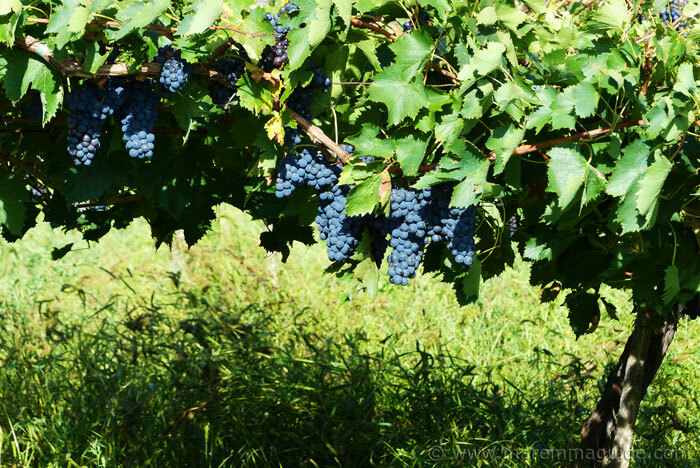 Indeed you will be hard pressed to find many that even dip a toe or two into this land as part of a wider Tuscany tour. But that isn't surprising as, falling outside of the the main Pisa, Florence, Siena triangle tour circuit, Maremma is still one of Italy's best kept secrets, and so there is little demand. And the very few that do only venture as far as the less than a handful of Maremma towns that have managed a mention or two in some guide books on Tuscany. But there are lovely local tour guides. As well as guided cycling, mountain biking, horse riding, walking, trekking and, of course, winery tour operators here. Who already cater for the Italian, German, Swiss and Austrian visitors in the know about Maremma. Professional environmental and cultural guides who were born and grew-up here, whose tours and routes will reveal to you the beauty of this land and a Tuscany you hadn't expected. And they speak English, even if you wouldn't know from their web sites! Over the decade that I have lived here in Maremma I have gotten to know them personally and cannot recommend them more highly. You will have a fantastic day out, no matter which guide or tour you choose. 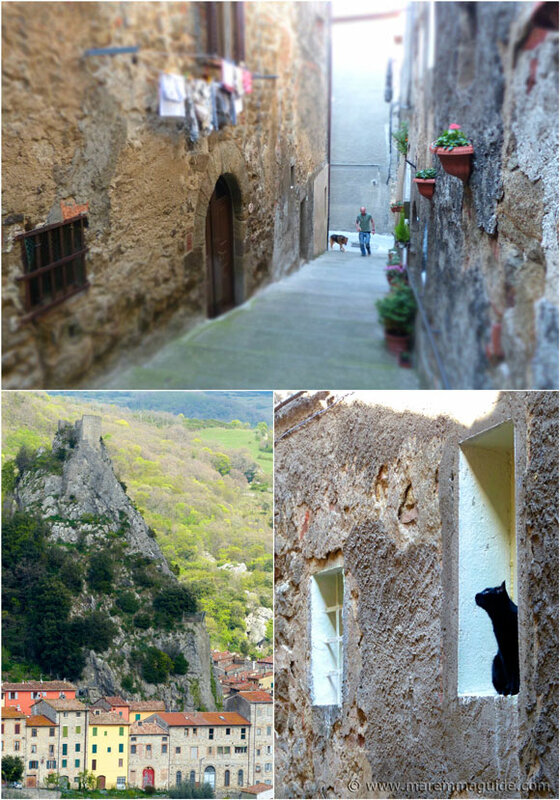 See wondrous things and have the opportunity to really experience, rather than just see, everyday life in rural Tuscany. Including the simple things that leave you giggling. Walk the narrow - sometimes so narrow you will have to squeeze through if you are wearing a rucksack - medieval alleyways and streets. Sit and savour a coffee in a piazza with your guide as she tells you about who walked across its stone slabs and held it siege for four years! 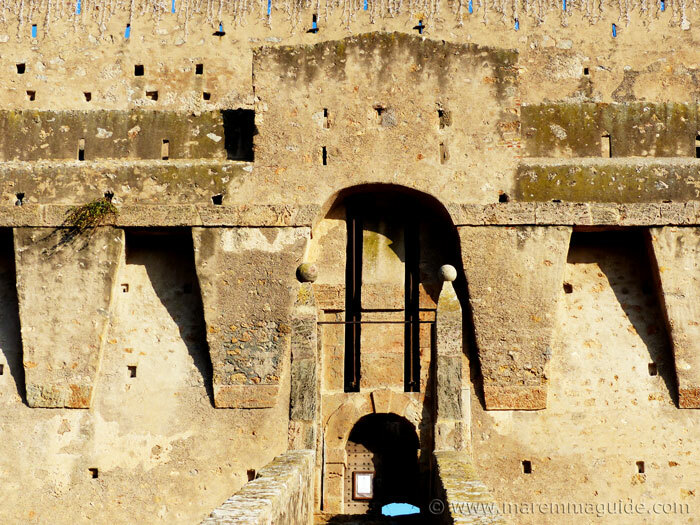 Visit the powerhouses of Maremma's old nobility and walk where once they would have held court, plotted and schemed for control of her metal rich hills, in now roofless hill top castles with views from their walls that will leave you speechless. Stand in one and spot the castled pinnacles of surrounding hills that were home your enemy one day and your alley the next. Listen whilst eating your gelato to the tale of an incredible red-headed noble beauty who, despite the machinations of men in power all around her - including the Pope - managed to survive five arranged marriages, being declared a bigamist, and marry the man she loved whilst retaining rule over the whole of Maremma. Of how her love story went sour after her only son was murdered as a boy and how, when her daughter married she disappeared, in all probability because she wanted to. 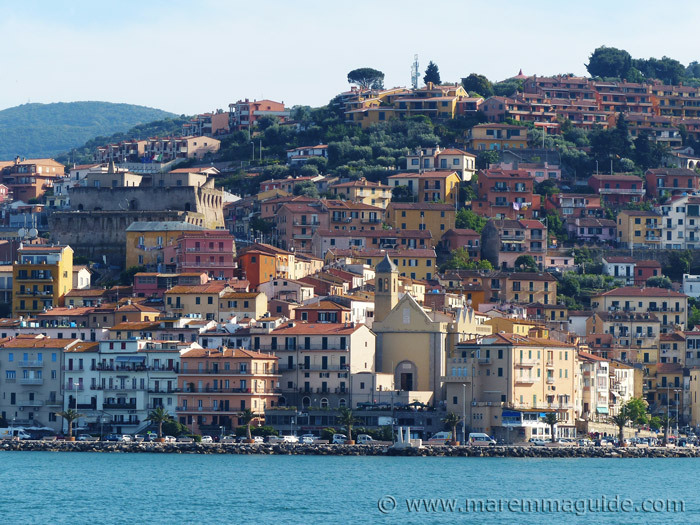 Visit Maremma's coastal towns and when you are staring out to sea, hear the tales of Barbary Coast pirate raids that slaughtered and devastated them and took Maremma's women to the Ottoman slave markets. 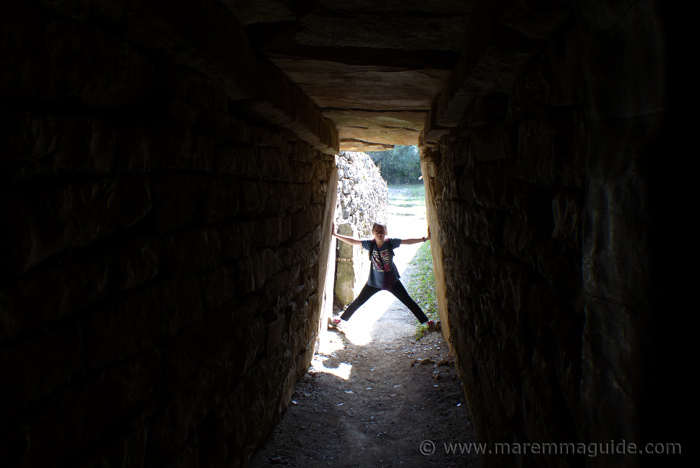 Walk folded-double down into the dark of Etruscan treasure tombs and learn of the tomb raiders and the gold and jewels and chariots they found. Take a private guided tour of Maremma's wineries that won't have you pit-stopping from one showroom to another, but instead have you walking down the rows of vines, around the cellars, and being welcomed as new friends into the farmhouse. be bedazzled for a day! Tuscany sightseeing doesn't come much more wonderful than this. Travelling with your partner, or one your own. Choose one. Two. Or three day trips. For one incredible long weekend in Tuscany. Bringing the whole family? Schedule in a day when you want someone else to take care of everything. To keep them enthralled, stimulated, and excited about what is around the next corner. All day long. Pick-n-Mix for a fantastic full or half day guided tour that doesn't just take you to places on your bucket list. But tells you and shows you things that you wouldn't know about otherwise, or see on your own. Drive yourself. Or choose to have transport arranged from the front door of your accommodation. Visit the tufa hill towns that catch your breath when you first see them. 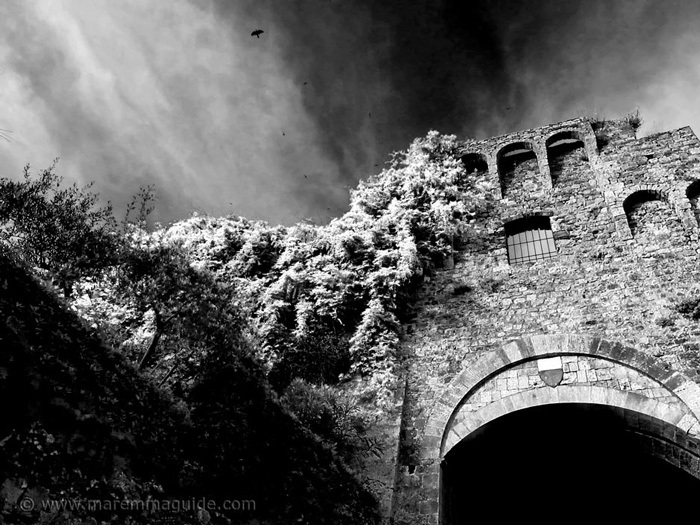 Start with the "Little Jerusalem" that is Pitigliano. 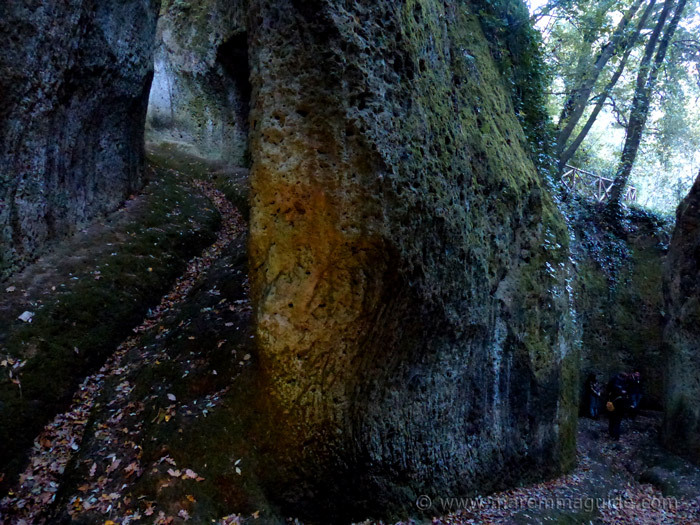 Take a not to be missed trek through one of the wonders of the world, an Etruscan Via Cava. 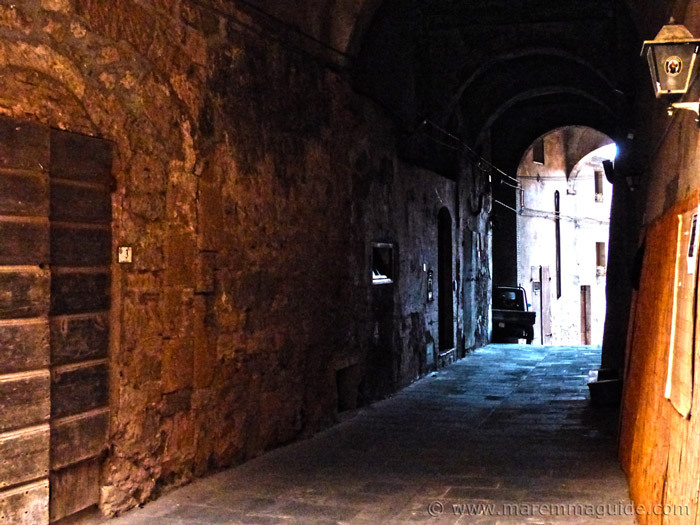 And then decide whether to visit either tiny Sovana, or magical Sorano. Take a trip to arguably the most beautiful part of Tuscany's coast and visit Monte Argentario. 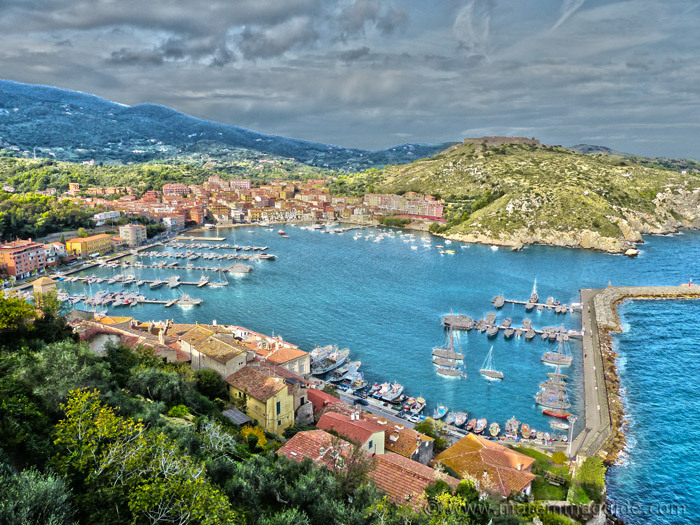 Take the coastal panoramic road, stopping at picturesque ancient port towns of Porto Ercole, Porto Santo Stefano. And choose between a visit to the star-shaped Spanish Forte Stella fortress. 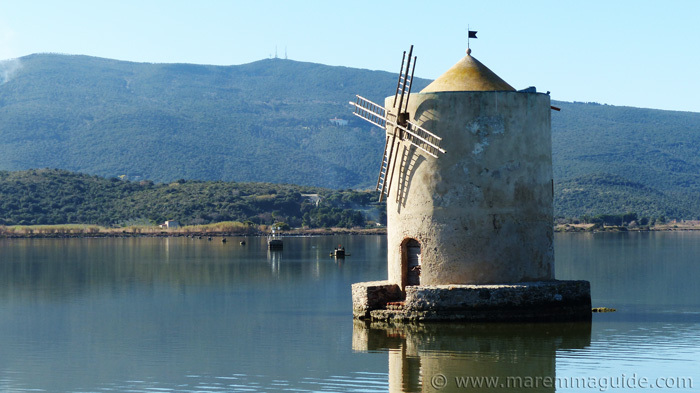 Or a stroll through the lanes and streets of the once Spanish town of Orbetello. Floating, like a mirage, on it's lagoon. No ordinary lagoon. A wildlife reserve home to flocks of pink flamingoes, spoonbills, and wild boar. Take your binoculars and camera. Massa Marittima, oh, Massa Marittima. The jewel in the heart of Maremma. And my home town. This quiet, but oh so beautiful town, is the place to sit at an outdoor cafe with the best gelato for miles and miles around. And watch the world go by. Then let your guide take you up hill and down between old town and new (both very, very old, by the way), under the walls built to protect the Sienese rulers from the town folk. And up the tower for a magnificent view across thickly wooded metalliferous hills and out to the islands of the Tuscan archipelago. 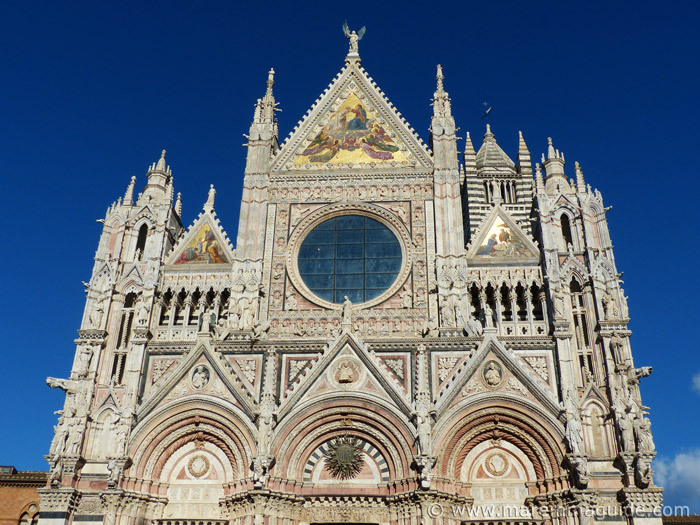 Walk back down to one of the most beautiful piazza's in Tuscany and a magnificent cathedral. All the while listening to the legendary love story between Nello d'Inghiramo Pannocchieschi, Lord of Maremma. And his lover Margherita Aldobrandeschi, Contessa of Sovana and Pitigliano. For whom he murdered his wife, Pia de Tolomei. Then, and only then, take a drive through those same said wooded hills to a ruin of an abbey that people travel from far and wide to see (and even be married in). The Abbey of San Galgano. And take a walk to the chapel - the "L'Eremo di Montesiepi" on the hill alongside to see King Arthur's sword in the stone - "la spada nella roccia". Travel back thirty centuries in time to the lost Etruscan city of gold. Once prosperous and splendorous and home to 20,000 people who traded skills, perfumes, dyes and spices with the Far East. Vetulonia. Visit the museum for an incredible wonder of gold jewellery, the craftsmanship of which has never been since since. And then, in true Indiana Jones style, walk down the long dromi of the city's tumulus tombs into pitch black dark. Back out into the bright light. Take a short drive along a road that takes you over land that was once submerged beneath a huge coastal lake that connected the Etruscan city with it's international dealers. Past what remains, the Diaccia Botrone nature reserve. 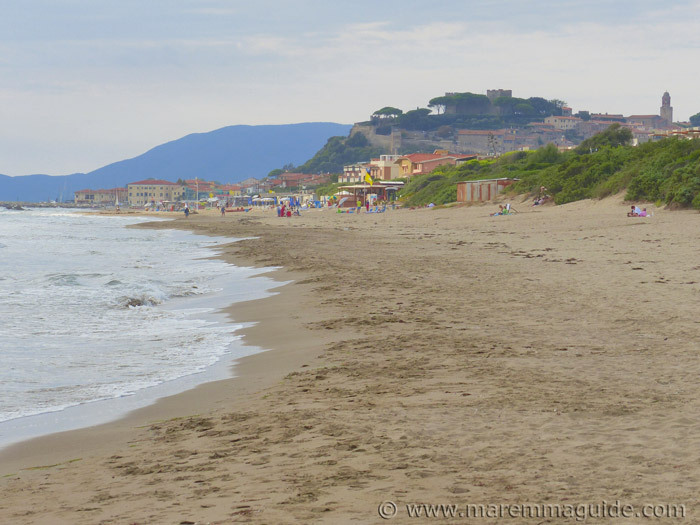 To the pretty coastal port and castled town of Castiglione della Pescaia. For some shopping and a stroll in true Italian style. For Italians from Rome flock here of a weekend just to do that. And be seen. A half day out in Tuscany, visiting two very special Montecucco wineries in the Cinigiano and Castel del Piano areas of Maremma. And finishing with a home cooked Tuscan lunch in a trattoria. Want to do more? No problem. This guided tour can easily be made into a full day with the addition of an afternoon exploring the stunning hill town of Santa Fiora. Want to see a bit of one and a bit of another? Or want to see something else too? Inside a massive Spanish coastal fortress. Or two, or three, perhaps? 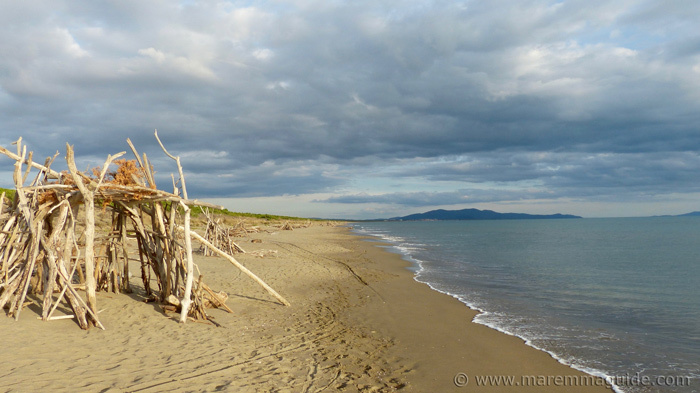 Then head for Maremma's Silver Coast, once ruled by the King of Spain. Then design your own itinerary - whether for a full or a half day out or more - at a pace that suits you, with two lovely cultural guides called Natascha. Contact the tour guides, Natascha and Natascha, directly via this email form for more details, availability and prices etc. Walk atop stupendous five-pointed star Medici walls and stroll Italian-style around this most relaxed of all Tuscany cities, discovering it's tucked-away treasures as you shop along the way. 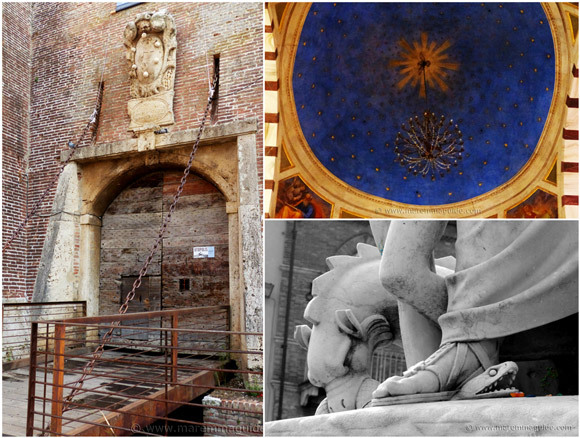 Grosseto's, Maremma's ancient city of salt, will surprise and delight you at every corner. Take a guided tour and see things that you will miss otherwise, even though they are right in front of you! Tuscany excursions like no others! Tuscany excursions with a touch of adventure! Nothing like any day trips in Tuscany you have found so far. Day trips in Tuscany that will take you underground on your bottom, deep into a medieval silver mine. To beautiful beaches in a dune buggy. And more. 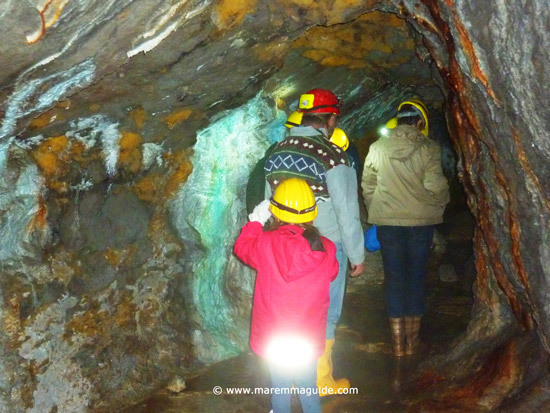 This guided tour will have you on your bottom down a medieval silver mine, deep inside a wooded hillside home to boar and porcupines. Be prepared to wear a hard hat and get a little bit muddy! Find out more. And this one will also take you subterranean with the potholers of the Spelogiolo Society of Massa Marittima into an only recently rediscovered old mine. Much easier going under foot than the first - and you won't get muddy in this one! It is great for children too. But you will need a pair of Wellington boots. Choose between two different day trips, chauffeur driven on a dune buggy, so you don't even need to worry about driving one! Or a half day tour. They will take you over a geothermal hot rock landscape with hissing vaporous vents. 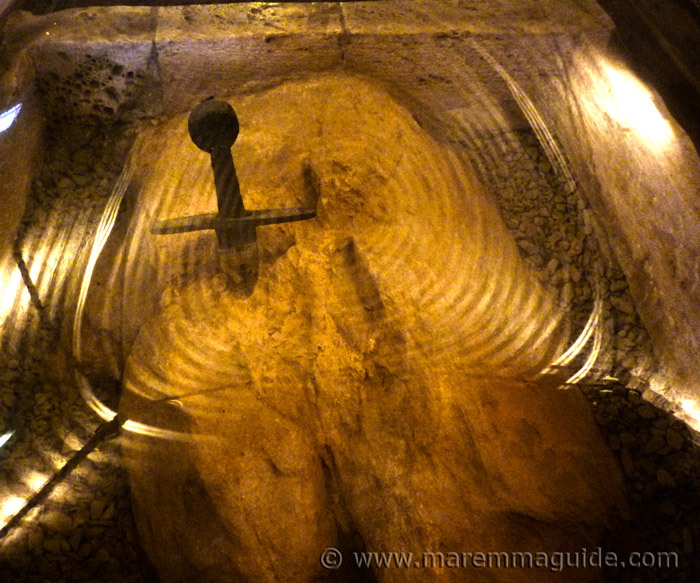 To the ruins of stunning San Galgano Abbey and Arthur's legendary sword in the stone. 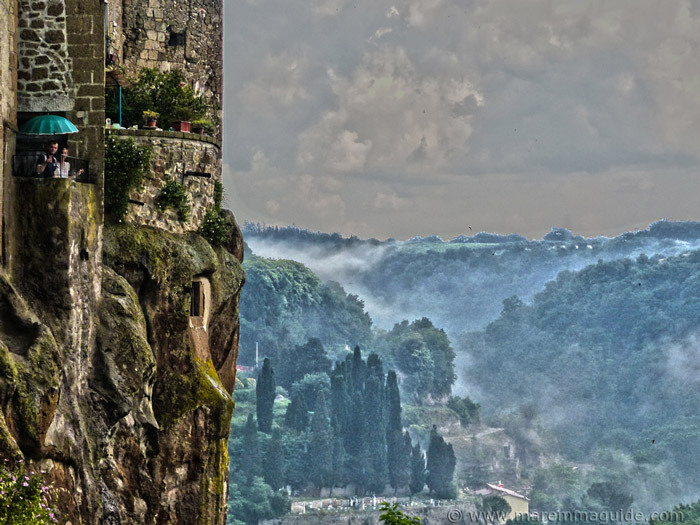 From a ruined medieval castle that will capture your imagination from its sheer drop location. To the centre of Siena and the city's stunning Piazza del Campo with wine tasting along the way. And from a Renaissance jewel to Tuscany's wild and wonderful coast with breathtaking beaches. Take a look and find out more.